Discover over thirty of the world’s most famous pictures in this fascinating introduction to art, with paintings by Van Gogh, Munch, Rousseau, Klimt and more. 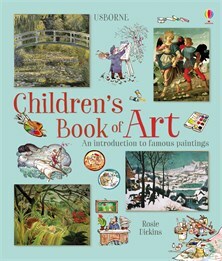 Each page is filled with fascinating facts about the artists, their lives and how they created their work. Includes a glossary, index and links to websites for more information.